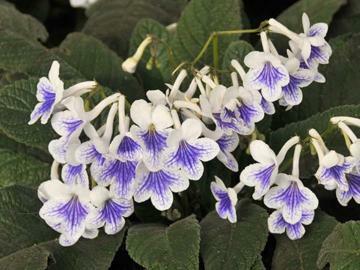 Cllusters of white flowers with violet-blue shading and veins on the lower lobes. Very free flowering, sometimes throughout the whole year. Compact rosettes of crinkly green leaves. Excellent variety.